Both Dam & Sire have wonderful temperaments and are KC Registered Working Cockers with full pedigrees, including numerous Field Trial Champions (FTCH) and clear Health Tests. 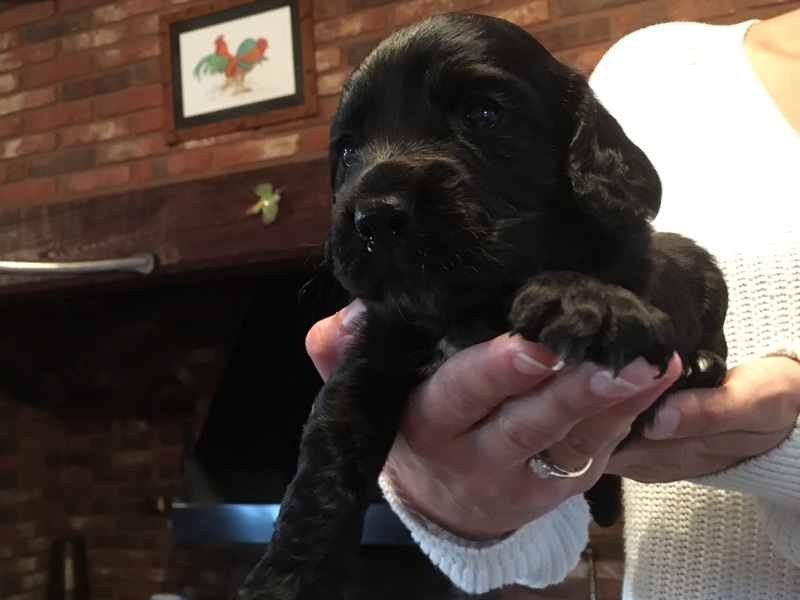 Puppies will be seen with Mum (who is our pet and also enjoys working on shoots) and will be flead, wormed and microchipped and will have had their first vaccination. They have been legally docked & dew clawed in accordance with the Animal Welfare Act 2006 (vet certificated). Each puppy comes with an individual Kennel Club 5 Generation Pedigree Certificate. A starter pack of their usual food will also be provided. 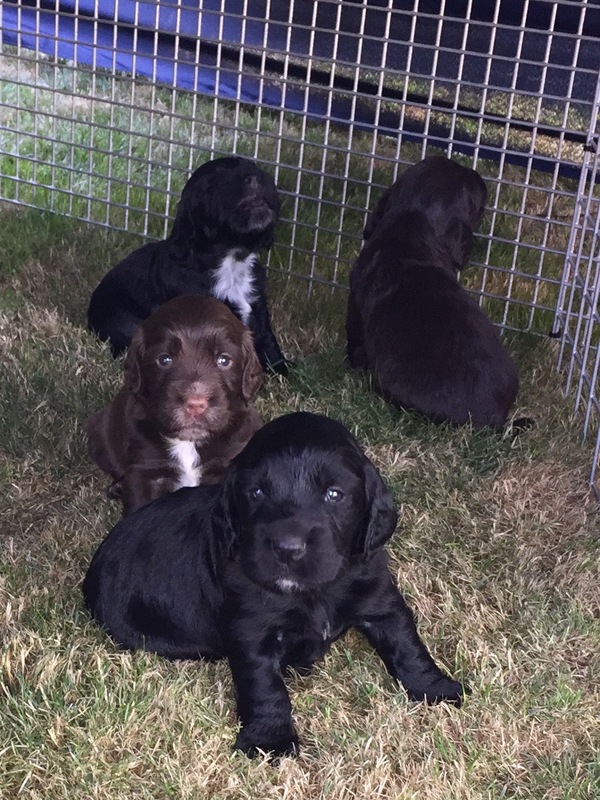 Puppies ready from 25th August 2018 - £200 non-refundable deposit secures.